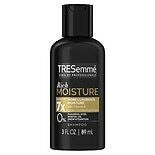 TRESemme Shampoo Luxurious Mo...3 oz. 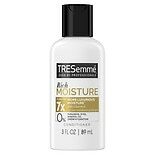 TRESemme TRES Two Hair Gel Ex...2 oz. 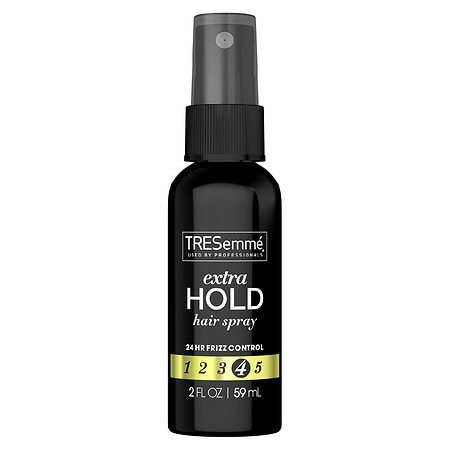 Spray on dry hair section by section, 8-10 inches away from hair. © 2010 Alberto-Culver USA, Inc. 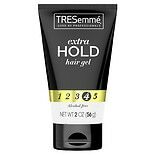 CONTENTS FLAMMABLE. DO NOT USE NEAR FIRE OR OPEN FLAME. KEEP AWAY FROM MATCHES AND LIGHTED CIGARETTES DURING APPLICATION AND UNTIL HAIR IS FULLY DRY. KEEP OUT OF REACH OF CHILDREN. AVOID SPRAYING NEAR EYES..